🌱 Happy #mantramonday friends! Monday is our favorite day of the week here at @cbdsuperfood and we use this day as an opportunity to ground into our intentions for the week. Many aspects of our lives move very quickly, and we can get swept up in this speedy rhythm and forget to give ourselves space for calm! This can even translate to the way we eat our food. It is easy to forget intention and to get into the habit of eating really quickly. Foods like smoothies, which can be enjoyed over a long span of time (and even while you’re doing other things!) can help to break this habit. It takes about 20 minutes for our stomach to communicate with our brain and let us know that we are full. When we eat slowly, we prevent overeating because our body can take the time it needs to send messages of fullness to the brain. This also means that we support overall digestive health and keep our bellies happy! 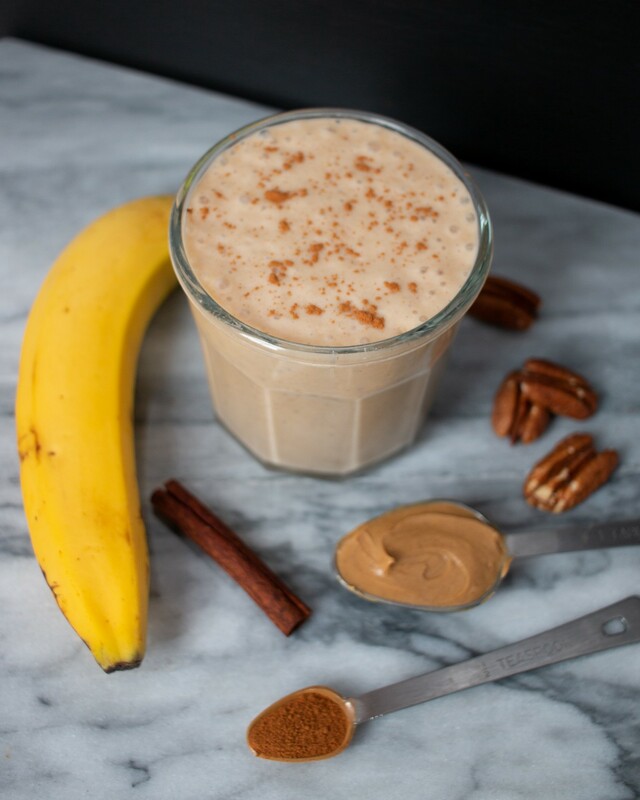 This PB & banana vegan milkshake can serve as a snack or a nutritious breakfast to enjoy slowly while you’re out of the house. Let us know how much you love it! Blend until mixture is smooth and free of lumps.